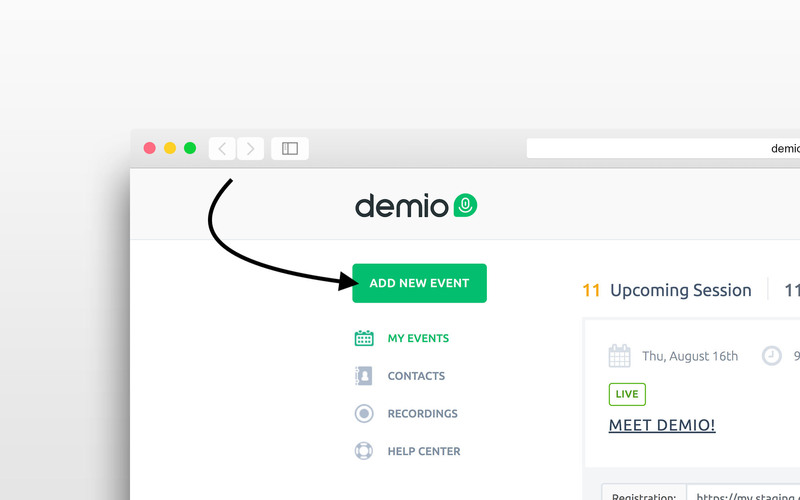 Creating an Automated Event on Demio is super simple! From your main Dashboard, you'll want to click the Add New Event button in the top-left corner. 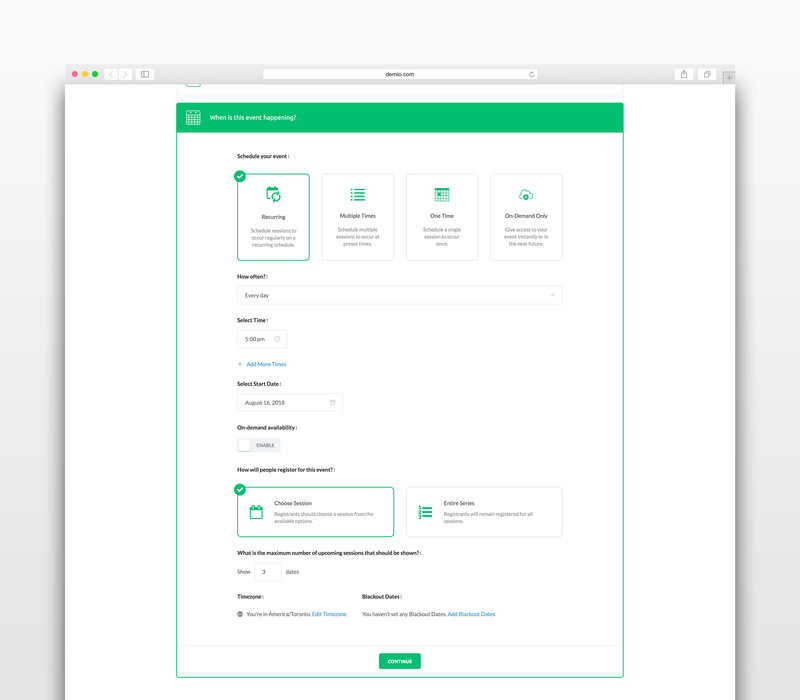 You'll then want to go forward with the Automated Event type. First up, we'll need to choose the core content. 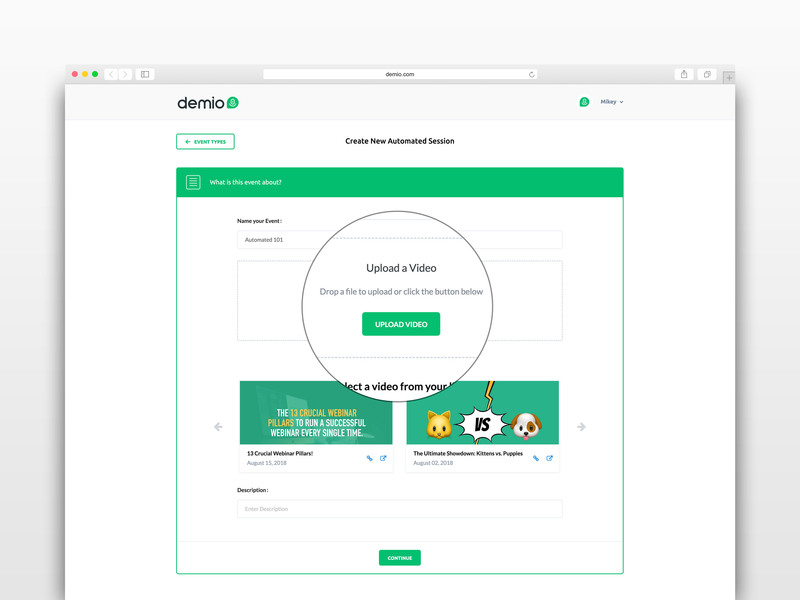 You have the option to Upload a Video, or choose an existing one from your library (these will include any Recordings for Past Events, as well as any videos you may have uploaded previously. Remember to include a Title, and add an optional Description for your event. Next up is tackling everything about the when. Let's start with selecting an option for how to schedule your Automated Webinar. Recurring: These allow you to set sessions that occur on repeating schedule. Great for any events that you want to run daily/weekly! 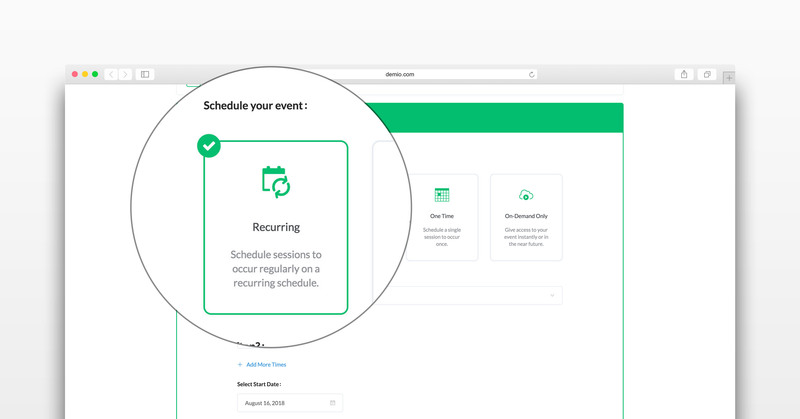 Multiple Times: Similar to the Recurring-type, but they allow you to specify exact times for your event instead. One Time: Simple! Perfect for any sessions you only plan to run once. On-Demand Only: These will limit your event to only be available On-Demand. You can learn more about On-Demand here. These are simply time periods for Recurring and On-Demand Only where your event will not recur or not be available, respectively. Once you're done, simply hit Continue in the bottom right, and your webinar will be created. That's it for the initial set-up! Now you can continue building out an awesome event, using the multitude of options that are offered to you.